Can you inherit the hallowed secrets of Regalia in the Genesis clan? 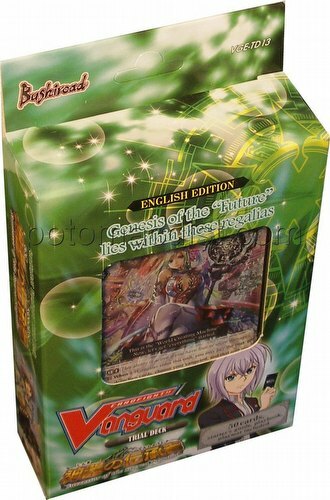 Unveil the divine insignia in Misaki Tokura's Successor of the Sacred Regalia Trial Deck. Each deck contains 50 pre-set cards, a starter's guide, a playbook, and a playmat. There are 17 different cards in each deck including 5 trial deck exclusives (inclusive of 3 holo cards).